The Emory, Harvard, and University of Washington Prostate Cancer Biomarker Center has received a $4.2 million grant from the National Cancer Institute's Early Detection Research Network to develop multiplex tests for detecting prostate cancer and improving survival benefits. 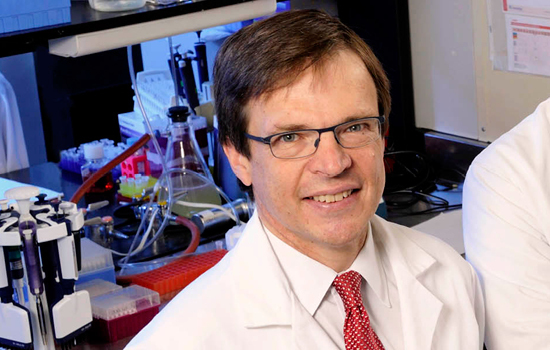 Winship member Martin Sanda, chair of the Department of Urology, is the principal investigator of the multi-center collaboration. He is joined at Emory by Eugene Huang, professor of biostatistics and bioinformatics at Rollins School of Public Health; David Schuster, director of the Emory Division of Nuclear Medicine and Molecular Imaging; and Carlos Moreno, associate professor in the Emory Departments of Pathology and Laboratory Medicine and Biomedical Informatics.